One of the most enjoyable aspects of making Camp W has been coming up with the side and background characters. I almost always have some sort of idea for their personalities and backstories, even if it’s not at all obvious to the readers. I like imagining that if I keep reusing the same designs every once in a while, the readers will slowly start to recognize them and learn about them as individuals. It’s a pain to try and remember all of them though, and which comics they appeared in, so today I got them all lumped into a photoshop file where I can easily find them (though I’m pretty sure there are more left to be added). 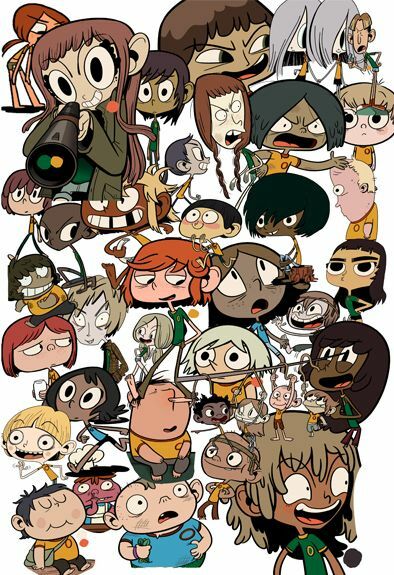 This doesn’t mean I’m done designing new characters though…there are a ton of kids at Camp W that we haven’t met yet!